The United Kingdom has suspended all sales of the injectable forms of flunixin, a nonsteroidal anti-inflammatory drug used in horses, as well as some other forms of medicine. The Veterinary Medicines Directorate (VMD) suspended the sale of exicipient [inactive substance] diethanolamine (DEA) for food-producing animals, reports HorseTalk. The chemical was classified as “possibly carcinogenic to humans” by the International Agency for Research on Cancer. 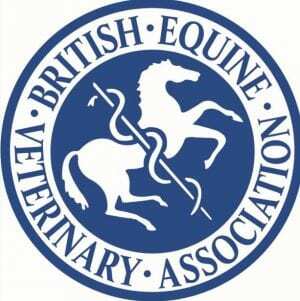 British Equine Veterinary Association (BEVA), the country's veterinary body, is asking for a reversal of the ruling, which suspended sale of flunixin, allevixin, pyroflam and dugnixon. Flunixin is a commonly used inflammatory reliever for horses that are colicking and those that are undergoing surgery, as well as for other painful conditions. Flunixin is also the only licensed treatment for sepsis. BEVA president Jonathan Pycock has called for the suspension to be overturned for horses that are not destined for human consumption. This suspension of painkillers will impact equine welfare, says Pycock. BEVA said there were no conversations with veterinarians regarding the suspension. Though BEVA is supportive of measures promoting food safety, Pycock notes that the VMD's decision is with regards to the solvent used in the injectable form of flunixin, not with the drug itself. Vets are able to prescribe the medications they have in stock, but shortages are expected as the supply chain is disrupted. BEVA is asking the VMD to release limited batches of flunixin for horses that are not a part of the food chain. This entry was posted in Horse Care, NL List and tagged allevixin, beva, British Equine Veterinary Association, colic, dugnixon, equine welfare, flunixin, jonathan pycock, pain, painkiller, pyroflam, sepsis, Veterinary Medicines Directorate, VMD by Paulick Report Staff. Bookmark the permalink.